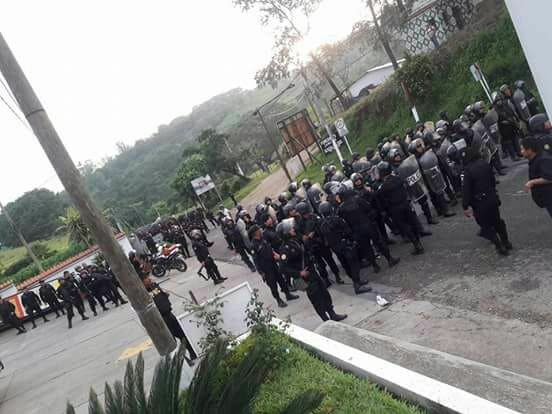 On Thursday, June 22, riot police used tear gas to disperse communities protesting the negative impacts of Tahoe Resources’ Escobal mine. 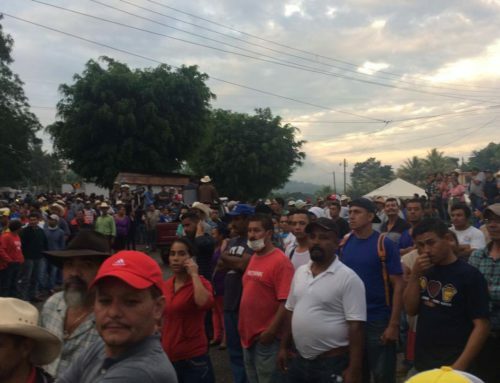 For three weeks, representatives from six municipalities neighboring the mine have maintained a peaceful encampment along the highway in the town of Casillas, 15 kilometers from the entrance to the Escobal project. Stopping only mine-related traffic, they are denouncing the serious environmental impacts mining is having on the region, including the drying of up of wells in the area and constant tremors as a result of heavy truck traffic and explosives being used in operations. Despite the excessive use of force by police, more than 3,000 people returned to the encampment as soon as the tear gas had cleared, once again taking up 24-hour rotating shifts and continuing their peaceful protest. The camp is located roadside in the town of Casillas. 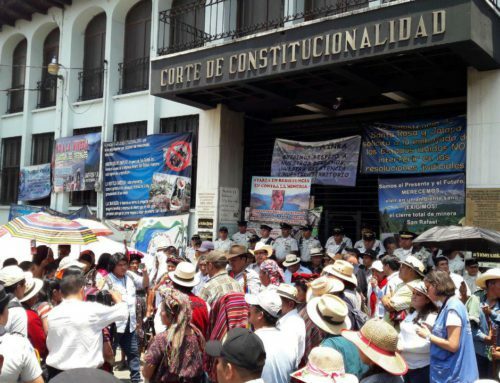 Despite claims made by both the Guatemalan government and Tahoe Resources, the protest is not impeding traffic for anyone living in the area or passing through. Community members are adamant that they are not stopping cars or public buses. The only vehicles being stopped are larger trucks, which are allowed through if they are not going to the mine. Since the peaceful encampment arrived, communities say that the tremors affecting the area have stopped. Riot police arrived on Thursday afternoon to disperse the people present, where they used tear gas and beat some protesters with batons as they were running away. Armando Barrios lives two blocks from the camp in Casillas. On Thursday, he was in his house when he heard the explosions of the tear gas canisters being fired. He saw canisters landing on the roof of a shelter for children, one block away. Reports are that two children in the area were taken to hospital because of intoxication from tear gas. For a more detailed account of Thursday’s events, click here. 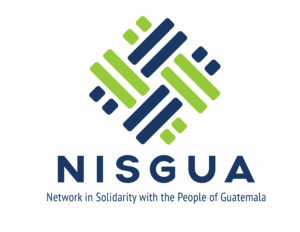 In response to the false claims circulating in Guatemalan media and propagated by Tahoe Resources and the Guatemalan government that protesters are blocking the road, he emphasized that the only vehicles being prevented free passage are those providing supplies to the mine. He didn’t want his name published for fear of future criminalization. 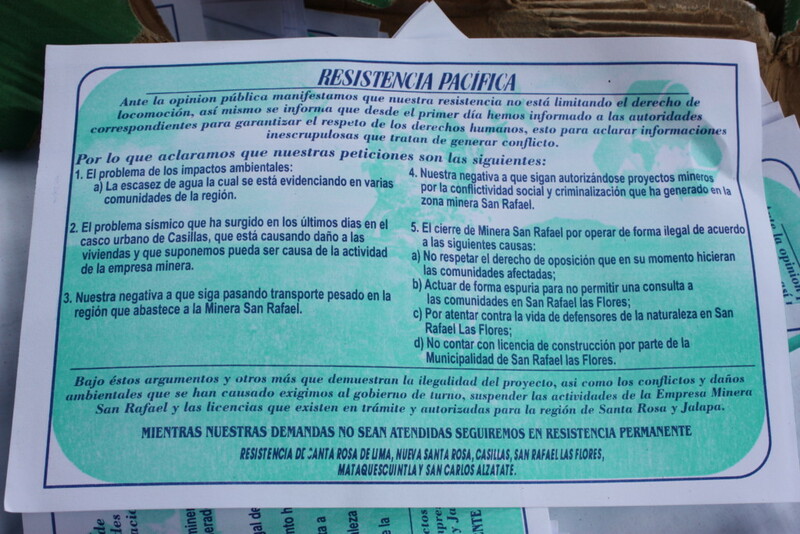 A flyer describes the reasons for the encampment and a series of demands. Click here for the English translation. Around midday on Friday, June 23, riot police returned to the encampment. While they turned back and did not use tear gas again, their presence was seen as another form of intimidation. 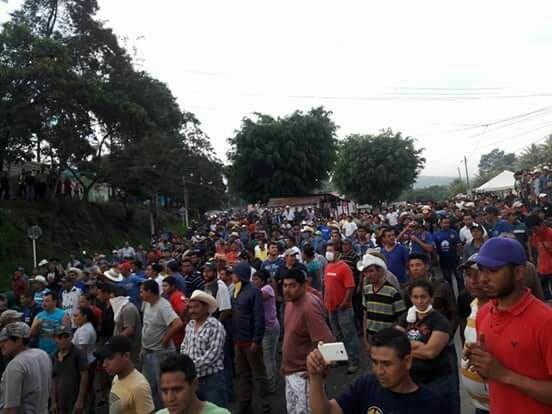 Julio Osorio, a community leader from Nueva Santa Rosa who has been an active presence at the encampment since it began, talked about the many moments over the past several years in which people have been violently attacked resisting the mine’s presence. “People had to bring a case all the way to Canada to try to find justice because we cannot get justice here,” he said, referencing the 2013 shooting by Escobal’s private security against unarmed peaceful protesters. During that attack, seven men were injured and several have brought a civil lawsuit against Tahoe Resources in Canada for negligence. For many at the encampment, Thursday’s police violence brings back memories of the 2013 re-militarization of their communities. 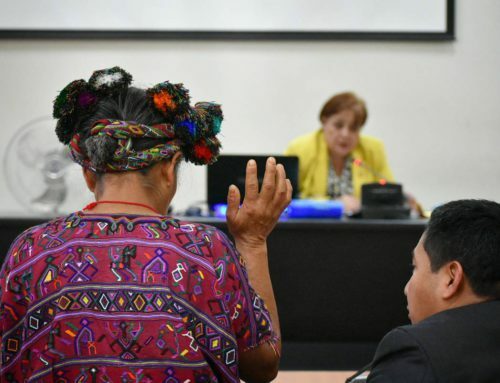 Committed to a long-term struggle, thousands of people returned to the encampment to continue to denounce the negative social and environmental impacts that mining is having on the region. 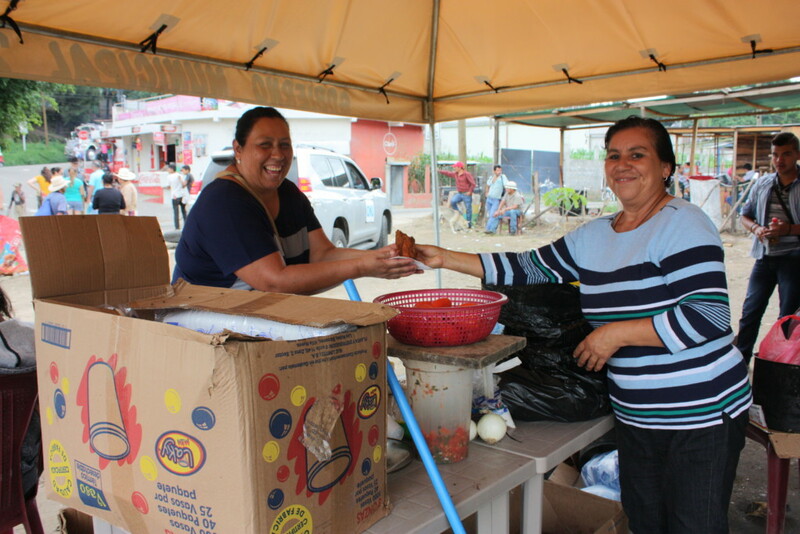 Supporters from across the six municipalities represented in the peaceful protest have provided food for those taking 24-hour shifts at the encampment.